Well, fellow file sharers, as you probably know, content offered here for your enjoyment has been deleted by the federal government. Along, of course, with hundreds of thousands of other files stored at the file-sharing site, Megaupload. It seems like the G-men are getting serious about copyright violations. If you're a frequent visitor to Gems (one of the chosen few), you know that the music we share is either in the public domain or no longer available in any commercial form, so we feel we're clean copyright-wise. Sony need not fear us. But, for the moment, we're outta bidness. Chicago has always been an iconoclastic place musically, at least as far as jazz is concerned. Its musicians have always followed their own muse. From the R&B stylings of King Kolax, to the progressive bebop of the Freeman brothers, to the chamber jazz of Ahmad Jamal or the interplanetary explorations of Sonny Blount, the Windy City has an aural space all its own. This was particularly true in the early '60s, when Richard Abrams, Jodie Christian, Phil Cohran and other visionary musicians were assembling the group that would become known as the Association for the Advancement of Creative Musicians. 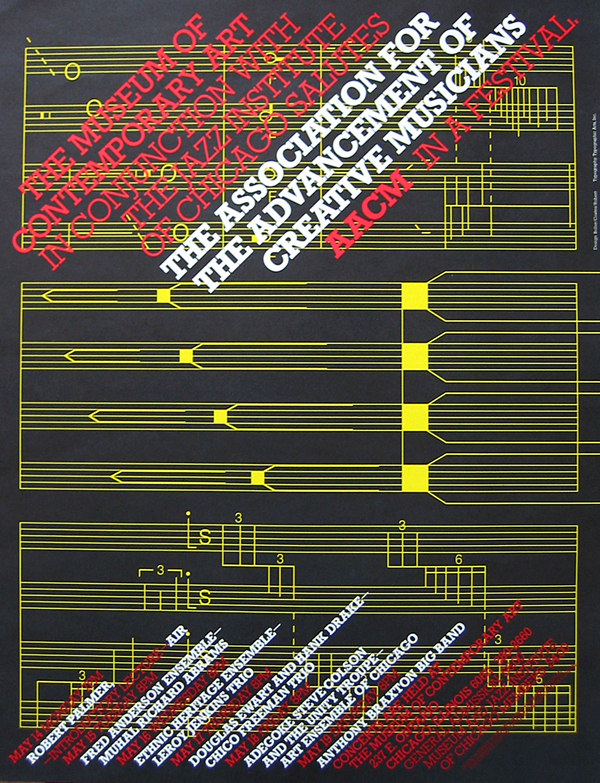 Or the AACM, for short. One prominent young member of the AACM was a 20-year-old reed player named Anthony Braxton. 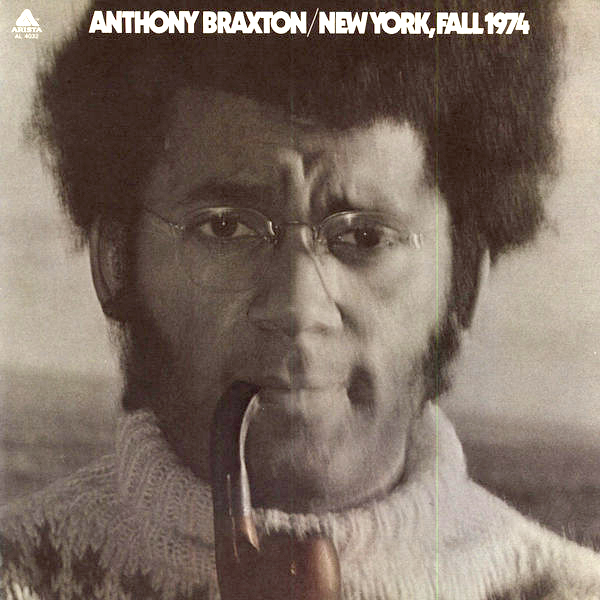 Braxton was originally part of a collaborative trio (with Leroy Jenkins and Leo Smith), but was soon exploring all aspects of creative music with various other AACM and non-AACM outfits. In 1974, he released the groundbreaking "New York, Fall 1974" on Arista, proving that new music could not only be about sound, dissonance and free improvisation, but could also include melody, harmony and conventional structure. 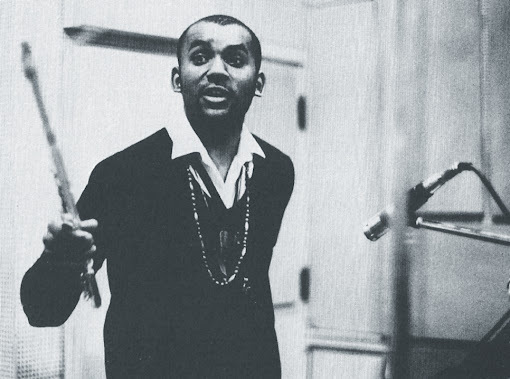 Jazz critics (and not a few jazz fans) sat up and took notice, hailing Braxton as the "new Charlie Parker." Indeed, when I first heard "Fall 1974," I too was smitten. And still am. In the mid-'80s, I got to know Anthony a little when he was living in Connecticut. He'd quit his teaching position at Wesleyan in Middletown and was going through a particularly tough period trying to support himself and his family solely on his income playing music. The music industry was changing radically in those days as records were being replaced by pricier CDs, and the Wynton Marsalis back-to-the-future juggernaut had turned listeners away from creative music of the sort Braxton was playing. I was in New York then and flush with work, and I was able to help Anthony out in a modest way. 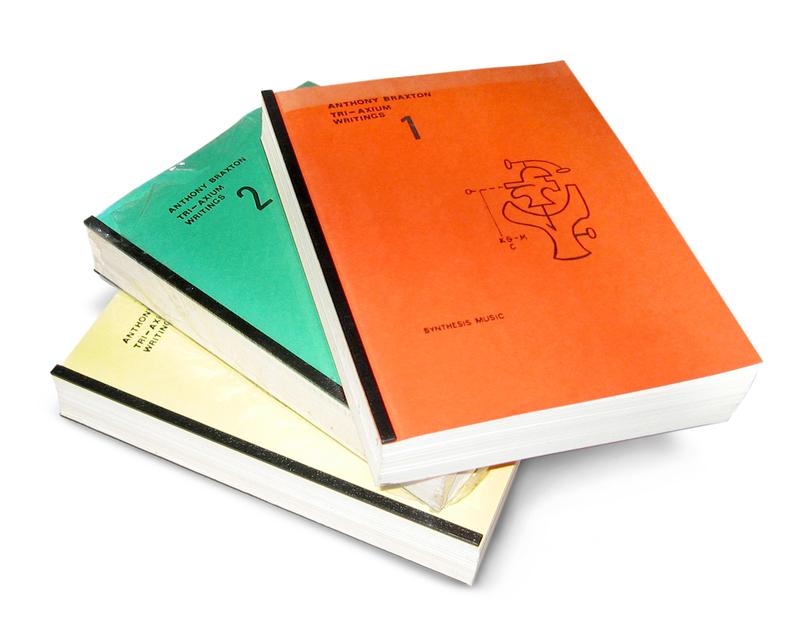 In return, he gave me a bound set of his massive philosophical/musical treatise called "Tri-Axium Writings." A staggeringly detailed and complex opus, the three volumes have been one of my prized possessions ever since. Not long afterward, Braxton got the gig at Mills College and his fortunes improved. I've seen him several times since then, but always as a member of the audience. The very first time I saw Anthony Braxton (I think it was the first time) was a decade earlier in Chicago. 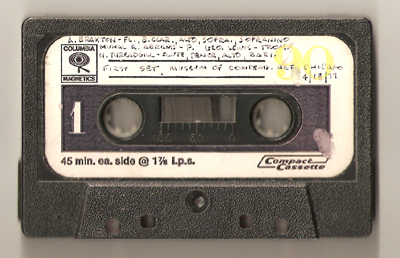 The Museum of Contemporary Art on the Near North Side was hosting a series of concerts on the new jazz, and Braxton gave one of them. I attended, and was very excited to see that Anthony had with him a young trombonist named George Lewis whom I used to see at the U. of C., reed player Henry Threadgill from the collaborative group Air, and the AACM's founding father, pianist Muhal Richard Abrams. 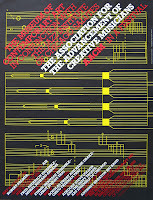 The museum promoted the series with an elaborate poster and an over-sized booklet on the history of the AACM, and on the night of the concert the place was packed. The quartet did two sets, each consisting of a single long piece segueing through a number of themes and moods. During the second set, an odd thing occurred. In the middle of a very quiet section, the music suddenly stopped and the musicians got into an argument. Or what seemed to be an argument. It was hard to hear, but at the time I was under the impression that Muhal was saying that what they were playing was BS, and Threadgill was agreeing. I remember Braxton standing off to the side, not saying much, looking a bit shocked. The audience seemed a bit shocked too, but then got into the spirit of the "dozens" and began laughing. After about ten minutes, Threadgill grabbed his tenor and launched into a blistering solo and the set resumed. The AACM members were known for incorporating all sorts of elements into their performances, and I assumed that this theatrical, decidedly non-musical moment must have simply been part of Braxton's piece. Later, I acquired a tape of the performance, and while the quality of the mono recording is pretty low-fi, the music is as superb and intense as I remembered. And there, in the middle of the second set, is the verbal interlude. It's hard to hear, but what I can discern is that the musicians are engaged in a discussion on life as a creative musician and all its trials and tribulations. Threadgill's comments draw the most laughs, and the whole thing seems a lot more good natured than I recalled. You'll have to judge for yourself. George Lewis, tbn; Muhal Richard Abrams, p.